The BMCD stores information on protein and nucleic acid crystals that have been reported in the literature or deposited in the Protein Data Bank. Crystal growth conditions have been parsed into separate chemicals with numerical concentrations to faciliate data mining. 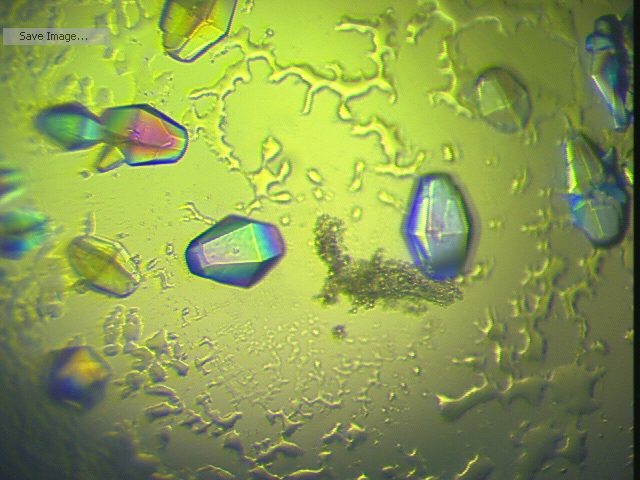 The mission of the BMCD is to enable the discovery of relations among protein properties, crystal conditions, and crystal behavior, in order to facilitate the design of crystal screening strategies for the determination of new structures. We are currently updating the BMCD website GUI and backend. If you experience any bugs or issues, please let us know!